The brain is the most important organ in the body. This spongy tissue controls all complex actions including the ability to learn, speak, move, think, and control our emotions. Due to its soft characteristic, when malignant cell growth occurs, it often invades surrounding healthy brain tissue quickly (brain tumors). Even with advances in technology and medicine, conventional therapeutic strategies generally remain unsuccessful and offer brain cancer patients a dismal outlook. Patients who undergo surgery and radiation treatment have an expected survival rate of only nine months. Only 10% of individuals who undergo chemotherapy for a brain tumor have an extended life expectancy. The month of May is Brain Tumor Awareness Month and there will be a lot of attention focused on the primary symptoms and medical testing for brain cancer. 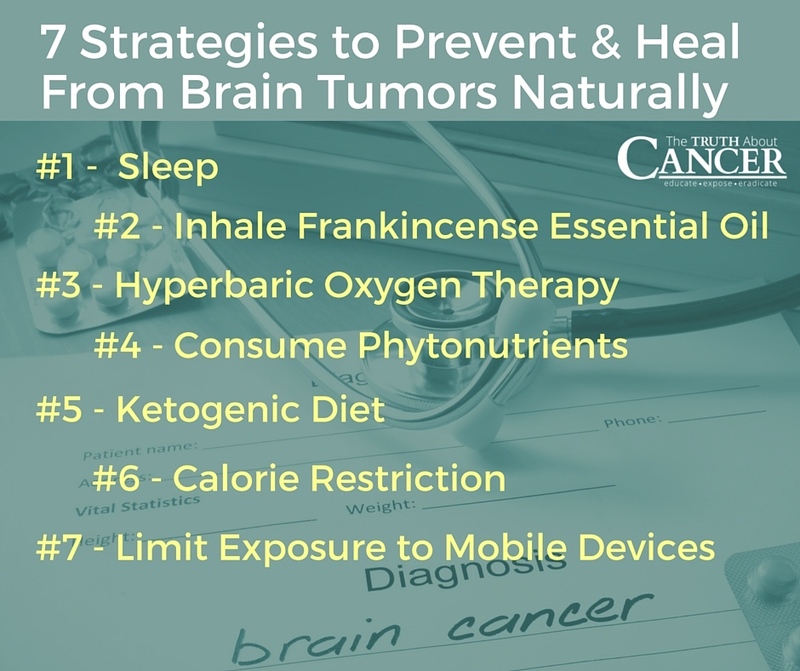 While some of this advice may be useful, there is very little discussion of nutrition, toxic exposures, and lifestyle factors and their contribution to the development of brain cancer. Fortunately, the primary tool to preventing brain tumors is within your control… in the lifestyle that you live. Making healthy choices when it comes to diet, exercise, avoiding carcinogens in your environment, and reducing stress can effectively reduce your risk of developing brain tumors. Receiving adequate amounts of shut eye daily is critical to the survival and the health of your brain. A detoxification pathway known as the glymphatic system removes toxic waste that naturally accumulates during the day. This system is particularly active at night and provides the mitochondria in the brain the chance to flush toxins using cerebrospinal fluid. Sleep deprivation hinders the natural processes of the glymphatic system affecting cognitive function. Especially critical to patients who have undergone chemotherapy, sleep allows cells to repair damage and restore tissue. Sleep deprivation can further increase symptoms associated with a phenomenon known as chemo brain. Drugs from radiation and chemotherapy have been shown to alter the cognitive function of patients presenting generalized symptoms characterized as brain fog. The effects of chemo brain differ in each patient and vary in duration and severity. This occurrence is likely a consequence of the toxic compounds destroying neural pathways and healthy brain cells. Practicing stress reduction techniques such as yoga, meditation, and breathing exercises can reduce stress. While practicing these techniques, inhaling frankincense oil can help alleviate inflammation in the brain. One of the major causes of death related to brain tumors is inflammation from swelling in the brain. When frankincense extract was administered to patients before surgery they experienced reduced swelling and fluid accumulation during and after treatment. 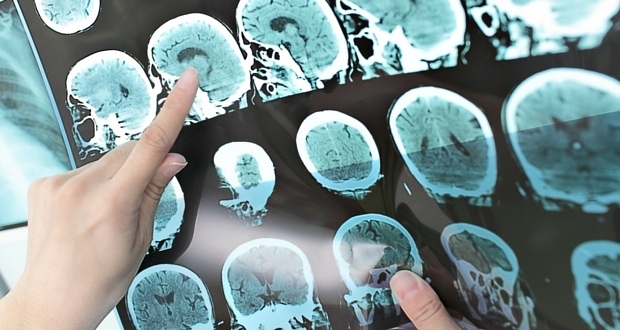 Patients also exhibited fewer symptoms of brain damage. Boswellic acid is the main active component found in frankincense traditionally used to treat arthritis, asthma, and other inflammatory problems. Frankincense relieves pain and inflammation by improving blood circulation and inhibiting damage to the hippocampus associated with learning and memory. Receiving hyperbaric oxygen therapy (HBOT) treatment beginning at a young age can reduce your risk for brain cancer. HBOT can also improve cognitive function in survivors of brain tumors. Studies examining the effects of HBOT find that improved oxygen circulation stimulates the ability for healing neural tissue. Success with HBOT is directly related to the age of the brain. HBOT can cause progenitor cells to differentiate into new cells. Progenitor cells are similar to stem cells and can result in improving a patient’s cognitive and motor skills. Hyperbaric oxygen chambers may help reverse the damage done by the treatment of cancer drugs by forming new blood vessels, reconstructing nerve damage, and stabilizing blood glucose. Consuming a diet rich in cancer fighting nutrients is essential to preventing and treating brain tumors. As approved cancer treatments remain controversial due to their devastating and toxic effects on the healthy cells in the body, seeking natural remedies to combat cancer is becoming increasingly popular. Herbs and vegetables equip the brain with antioxidants to limit cellular damage by scavenging free radicals, reducing brain inflammation, and shutting down brain tumor communication signals. In particular, dark green leafy veggies, turmeric, ginger, oregano, basil, thyme, and green tea all have powerful cancer fighting properties. Dr. Otto Warburg first theorized in the early 20th century that cancer cells thrive off the energy from altered states of respiration. Glucose is a source of energy for healthy brain cells but cancer cells rely solely on glucose metabolism to survive (glycolysis). Brain tumors, however, cannot metabolize ketones produced by the body during the metabolic state of ketosis like healthy cells can. Ketones are therefore an excellent energy source for neurons and are produced in the body during conditions of low glucose. Consuming a diet containing an adequate amount of proteins, healthy fats, and low carbohydrates triggers ketone production and can starve off malignant cell growth. A ketogenic diet reduces oxidative stress and inflammation in the brain and shuts down the nutrient supply to tumors. Dietary restriction, including fasting, is a therapeutic approach with similar anti-carcinogenic properties as the ketogenic diet. Calorie restriction reduces inflammation, prevents cancer metastasis, inhibits cancer cells from proliferating, and also produces ketones to fuel neurons. The electromagnetic field emitted by cell phones is categorized as a possible human carcinogen by the World Health Organization (WHO) International Agency for Research on Cancer (IARC). Radiofrequency originates from both the device and battery which has been found in one study to impact the survival rate of brain tumor patients. The “Interphone Study” collaborated amongst researchers internationally found that cell phone use elevates one’s risk of brain tumors and is directly correlated with age and duration of use. Adolescents are most at risk of hazardous exposure because the brain is developing causing a greater likelihood for abnormal cell growth. Use of a cell phone before the age of 20 and continued use for a duration longer than 10 years is directly associated with severe brain cancer diagnosis. Please share this information with friends and family. It could save someone’s life! Your brain is the most important organ in your body and controls all complex actions including the ability to learn, speak, move, think, and control your emotions. When malignant cell growth occurs, it often invades surrounding healthy brain tissue quickly. Brain cancer patients who undergo surgery and radiation treatment have an expected survival rate of only nine months. Only 10% of patients who choose chemotherapy for a brain tumor have an extended life expectancy. The primary tool to preventing brain tumors is within your control − your lifestyle. Making healthy choices when it comes to diet, exercise, avoiding carcinogens in your environment, and reducing stress can effectively reduce your risk of developing brain tumors. Sleep – Receiving adequate amounts of shut eye daily is critical to the survival and the health of your brain. Frankincense Oil – Practicing stress reduction techniques such as yoga, meditation, and breathing exercises can reduce stress. While practicing these techniques, inhaling frankincense oil can help alleviate inflammation in the brain. Hyperbaric Oxygen Therapy – Receiving hyperbaric oxygen therapy (HBOT) treatment beginning at a young age can reduce your risk for brain cancer. HBOT can also improve cognitive function in survivors of brain tumors. Consuming a diet rich in cancer fighting nutrients is essential to preventing and treating brain tumors. Ketogenic Diet – A ketogenic diet reduces oxidative stress and inflammation in the brain and shuts down the nutrient supply to tumors. Calorie Restriction – Dietary restriction, including fasting, is a therapeutic approach with similar anti-carcinogenic properties as the ketogenic diet. Limit Exposure to Mobile Devices – Cell phone use elevates your risk of brain tumors and is directly correlated with age (young people absorb more radiation) and duration of use. The Neuroprotective Aspects of Sleep. Hyperbaric oxygen treatment improved neurophysiologic performance in brain tumor patients after neurosurgery and radiotherapy: a preliminary report. can anyone tell me how often and for how long you should fast as part of a healthy lifestyle? If a person with terminal brain cancer and T-cell lymphoma avoids meat, poultry, fish, dairy, eggs, and desserts and just eats a raw vegan diet, fruit, and does juicing and avoids radiation and chemotherapy, will their brain cancer go away completely and never come back? Elaine, when looking for essential oils, you want to to find companies who do GC/MS testing for purity of oils sold. Anyone can claim therapeutic grade oils with nothing to back it up. The testing is the only way to know that the oil is not adulterated in any manner. Also look for production date of the batch of oil you are buying. Most oils(by general belief) have shelf life of about 2 years. Keep the oils cool and in dark place and make sure the cap goes back on immediately after use to avoid oxidation of the oils which will render them much less effective. Rocky Mountain Oils have GC/MS testing claimed on their site. You can find high quality organic Frankincense powder from the website, curanderahealing dot com, on the Market page. What is the episode that talks about an electric device that fits on your head to eleminite brain tumors? Does anyone know know of any braincancer patients, who have done the ketogenic diet, and healed brain tumor?I´m trying to help my father, who suffers from glioblastoma. I´ts very confusing wich diet can help, ketogenic is so contradictory to known therapies with lots of vegetable juices, like Gerson etc. 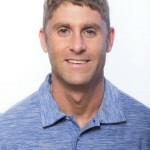 According to dr. Gonzalez, (in interwie on this link chrisbeatcancer.com/dr-gonzalez-dismantles-ketogenic-diet-for-cancer/), he didn´t believ in ketogenic diet. It had also alredy been tested , by Atkins, whith no success on cancer. There seem to be only tests on mice, have seen no human testimonials. We are trying to do the ketogenic diet, very difficult since my husband is on 12 mg of dexamethasone and so hungry. no because your body (including brain) needs good fats and protein. Free range Eggs, wild fish, and organic Paultry goes a long way in providing them essential nutrients your brain needs. What strategy did your wife emphasize the most? It’s scary to think of how easy it is to damage critical areas of the brain when it comes to surgery. It’s obviously a very complicated decision whether or not surgery is the best option for tumors. Thank you for this list of things that will naturally help prevent tumors! I have a brain tumor that is 6.6 cm. 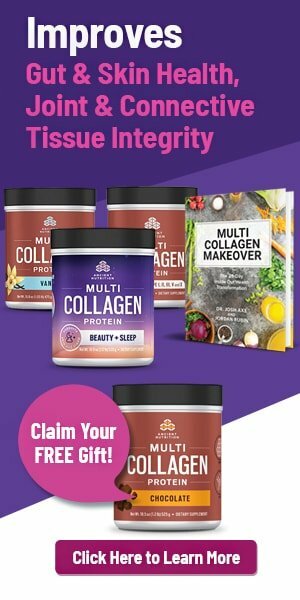 I am very scared of surgery, been using a holistic type diet for a month now. Which has eliminated carbs, processed sugars & processed foods. I can have organic fruits & vegtables, small potions of organic meats & organic dairy products. Some nuts. I have begun to feel healthier from this diet, unfortunately my tumor is still growing. I am going to add the oils and some exercise like yoga to my daily life style, with hopes the combinations will work together. I do wish that there was a support group for people like me. This is a very difficult time in my life, I am sure as it is for any one. Wishing you all the best on your healing path Darlene! My daughter was diagnosed with DIPG less than 2 weeks ago. We are looking into CPD oil. I have heard success stories in it shrinking the tumor. Trying to find the right dosage and strand is key. I would love to brainstorm with you. If you feel comfortable email me. My bro recently diagnosed with brain tumor (2.5cm length,3cm breadth) and operated.we are extremely sad as he always got first on everything it’s hell waiting for biopsy hope he gets better and I pray for God to for your health along with him. I also have a brain tumor witch was 4.7 cm and I stared taking pau d”arco for two months and my tumor has dicrease to 4.2 I lost my sight in the left sight because the tumor was pressing my optical nerve and now I gain my sight back. I bought the sun shine brand and I will keep taking it to reduce it. Good to know that your health improved.Were you taking any cooked stuff? OR only raw vegetables?What kind of Brain tumor was it ? Hi darlene. Are you always juicing carrot. I have a brain tumor like you . I want to know if is effective beacause they say juicing carrot is effective fighting cancer do you believe that . Thanks..
Hi, surgeon popped a 5.5 cm tumor out of my brain last January. I hhad 6 wks chemo(TMZ) and radiation after that. Since then, 1 week TMZ each month. I’ve been doing Keto diet -lost 50 pds., and added herbal supplements (ayevedic) plus driving ph to alkaline. So far, ALL MRI’s are clean. Ain’t stopping there- (GBM is too crafty). ALL of these are only containment actions y’know. This is a prayer said by christian healer Becky Dvorak who helped a woman with a brain tumor to get healed: it is to be said out loud to yourself as many times as you can. If anyone would like to contact me for more info feel free to do do .May the Lord’s blessing be with you all. did the changes you did help in reducing the tumor?